These are large capacity float type flowmeters. 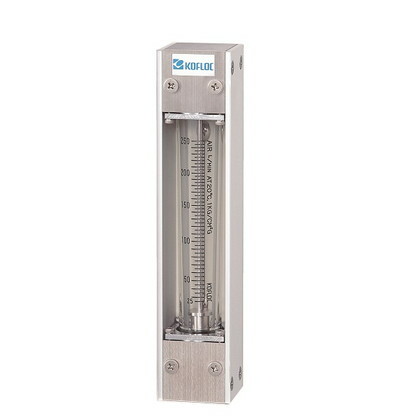 Flows within the ranges of 200 to 1,000 L/MIN (for gases) and 10 L/MIN to 30 L/MIN (for liquids) full scale can be measured and controlled. • Can be mounted onto various types of measuring instruments and sampling systems, and in diverse plants.